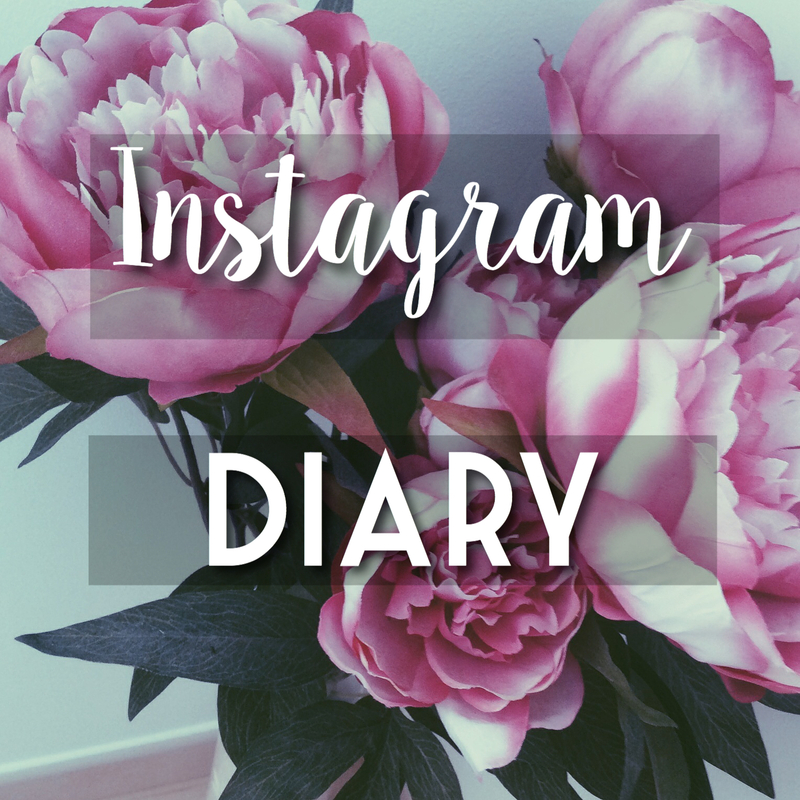 Today I'm back with another Instagram diary! The last time I did one was in June, so I thought it was about time to do another one. 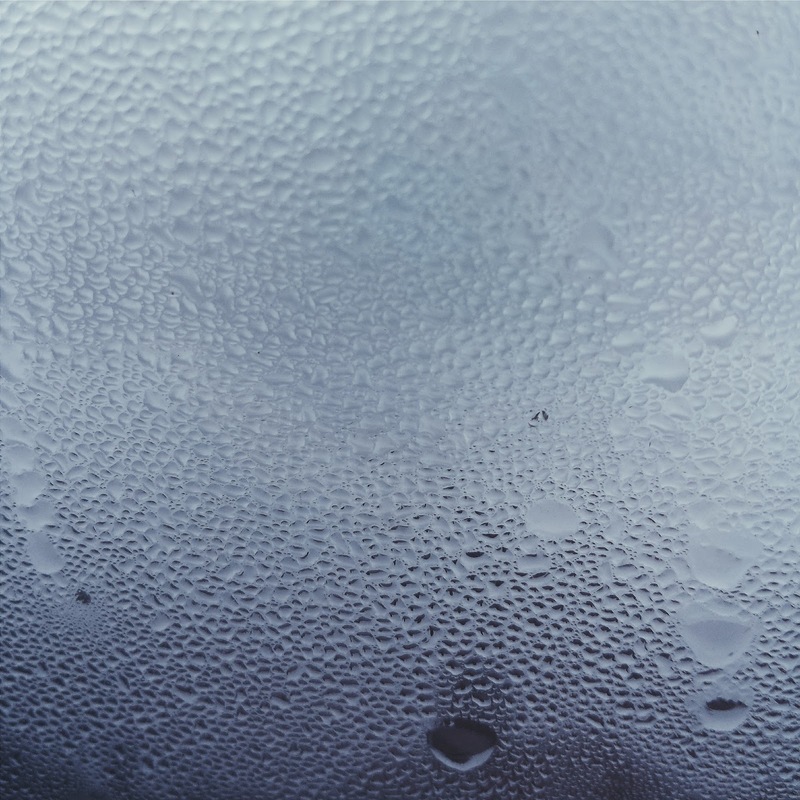 I will be sharing a few of my favourite photos I have uploaded in the last two months or so. 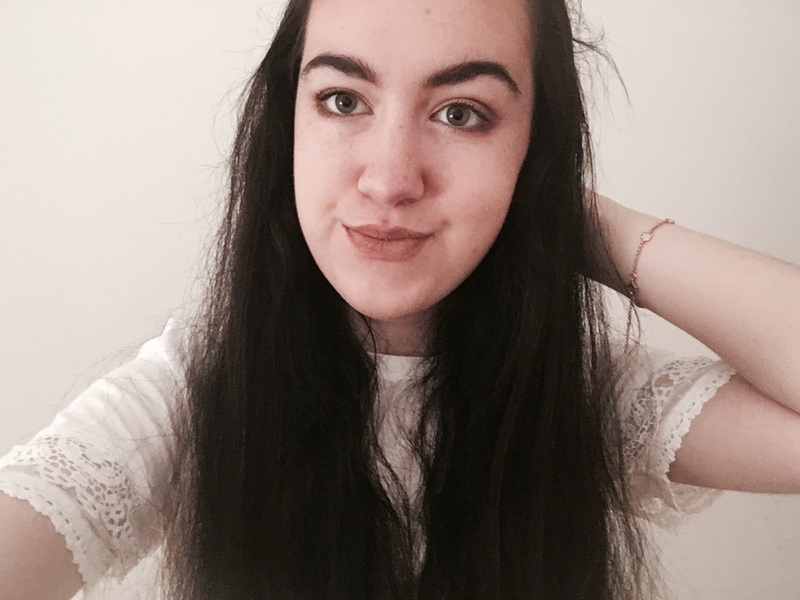 I am a huge fan of having an Instagram theme, and my theme has changed a lot since my last Instagram diary. I found this video by Claudia Sulewksi very helpful. 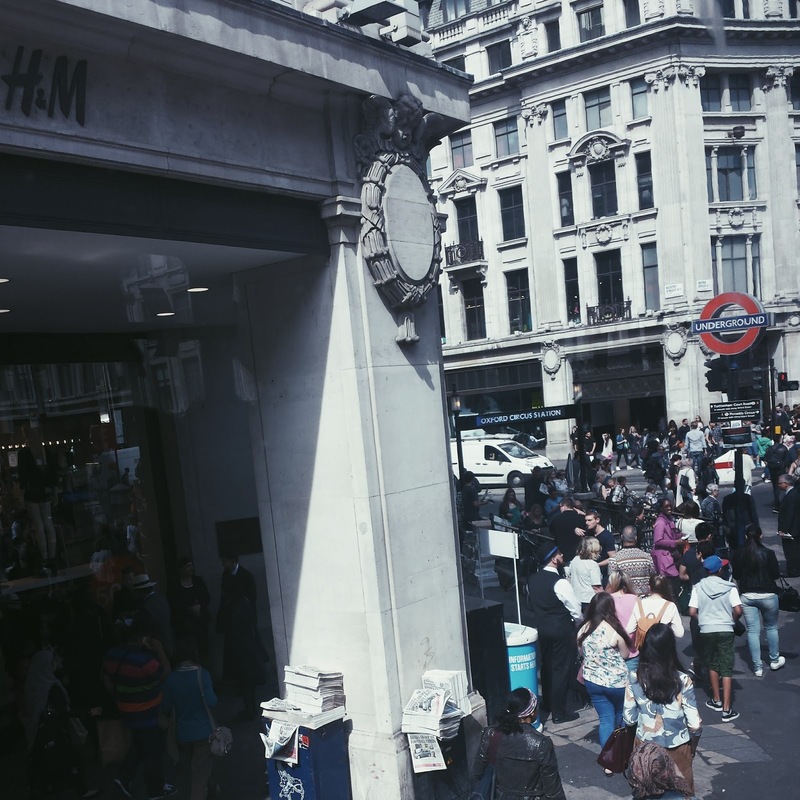 A photo I took a month earlier than I posted it - my view of London, on a bus outside Oxford Circus Station. A rainy day in England - every day. 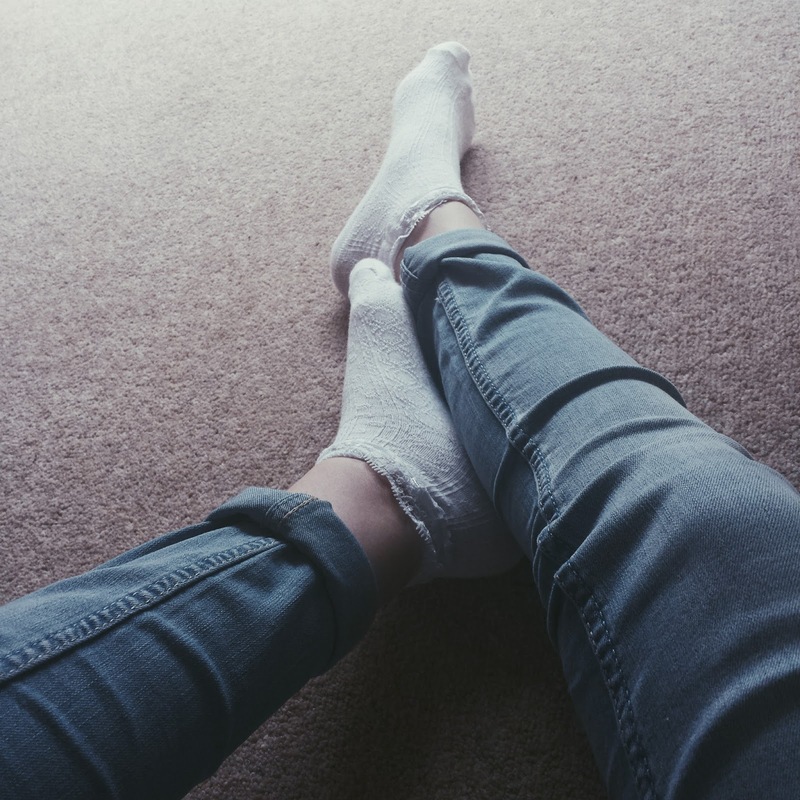 My new Hollister jeans paired with frilly white socks. 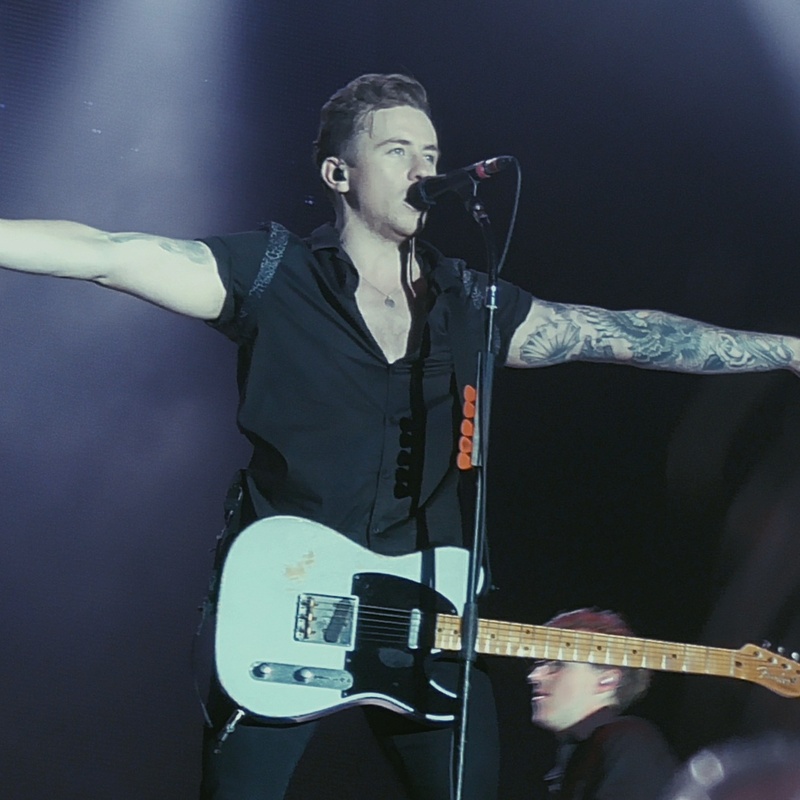 A photo I took at McBusted of Danny! Getting barrier at their show was an amazing experience. 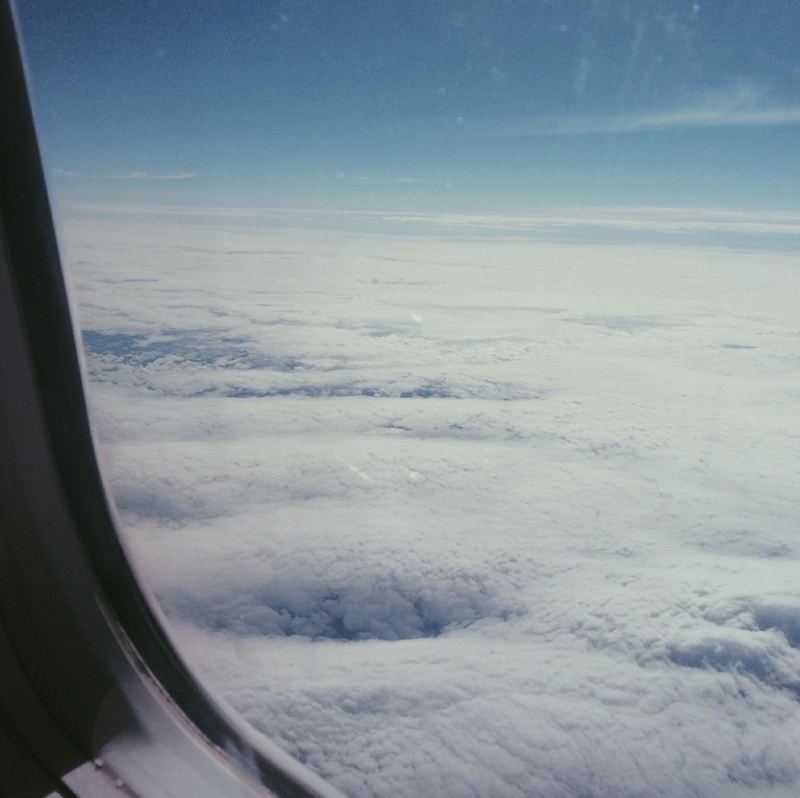 A cloudy view from the window on the way to my holiday. 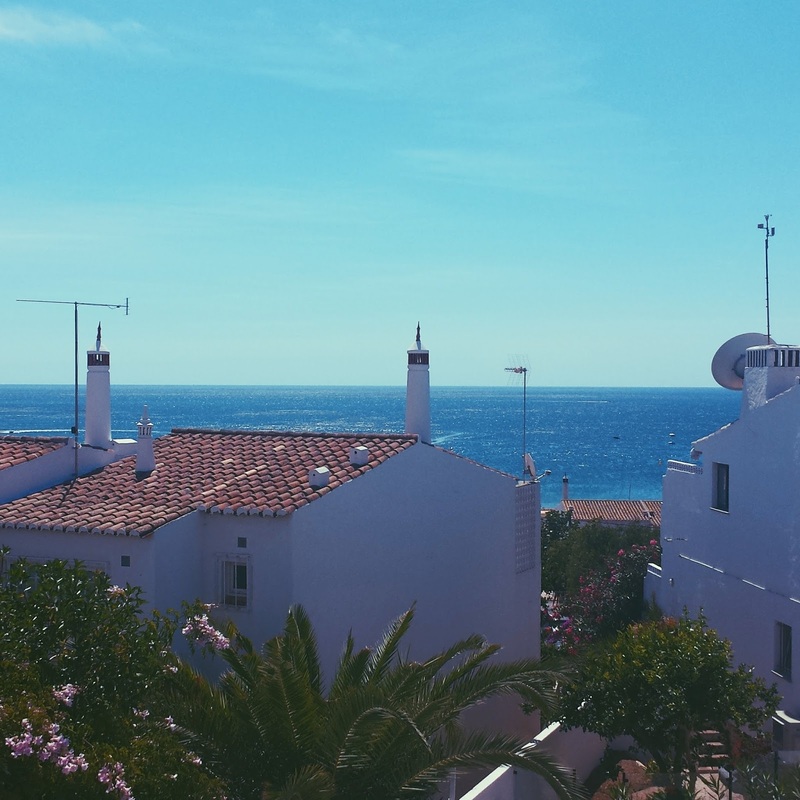 My gorgeous sea view from the villa I stayed in on holiday. 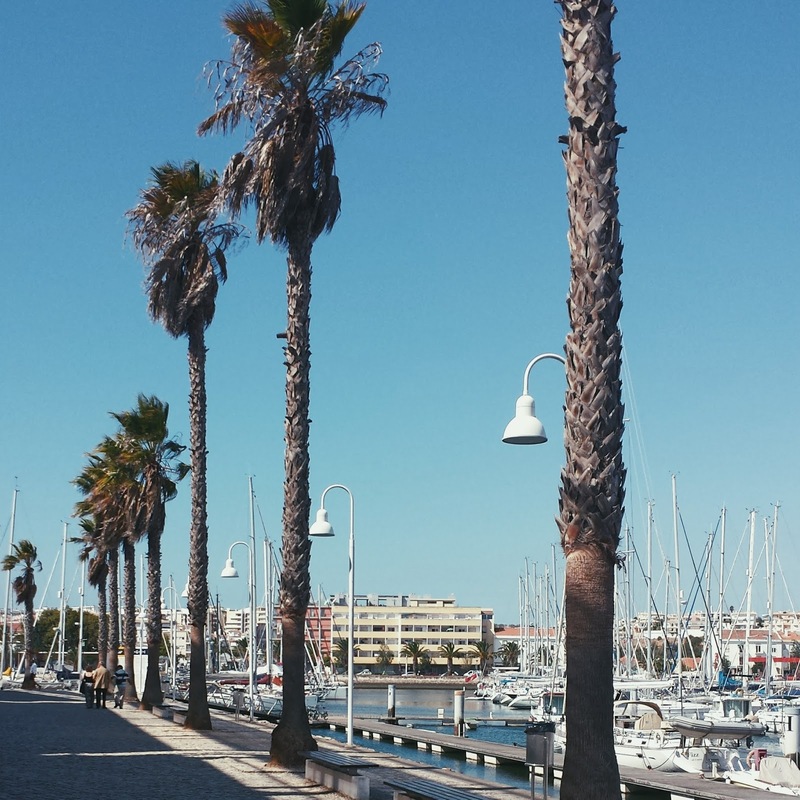 Some beautiful palm trees and boats I saw on my holiday in Portugal. 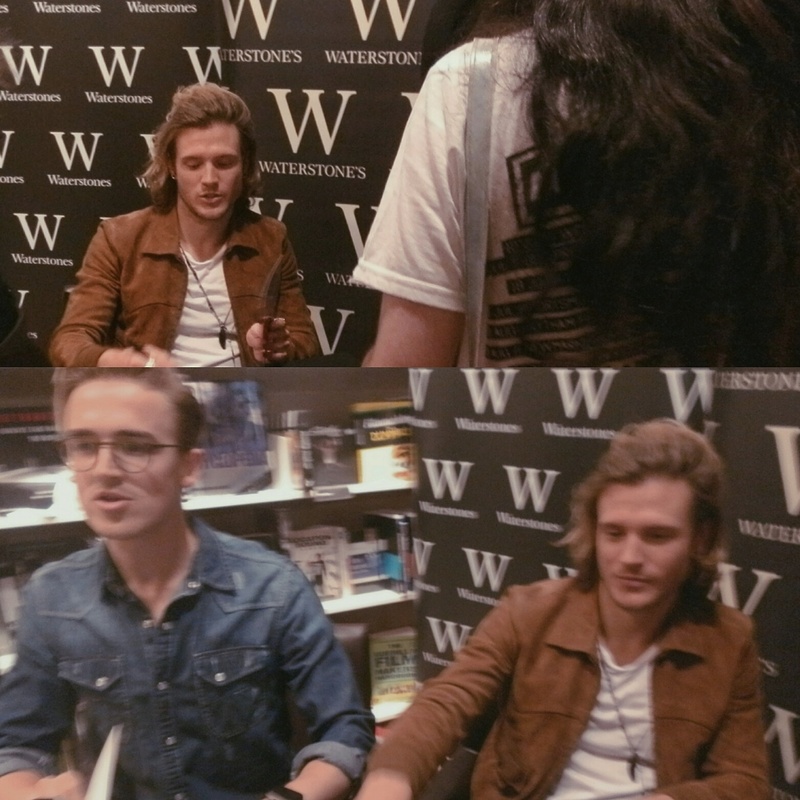 Finally, I shared a couple of photos from when I met Tom & Dougie from McFly. These photos make me very happy! So that is a round up of my recent Instagram posts, many from my holiday away because the views were lovely! Make sure you are following my Instagram @erincroasdale, and let me know your Instagram in the comments because I am always looking for new people to follow!